Today provided one of those extremely rewarding moments of a home renovation. The cabinets, finally secure, level, and attached to the walls, were ready. 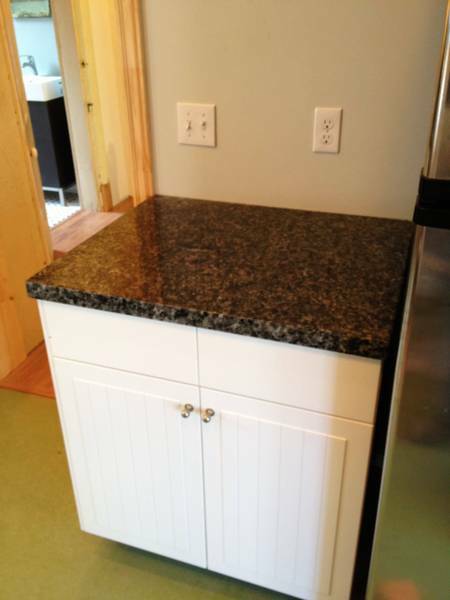 The free granite my friend Leon found for me in November had been cut and prepared. 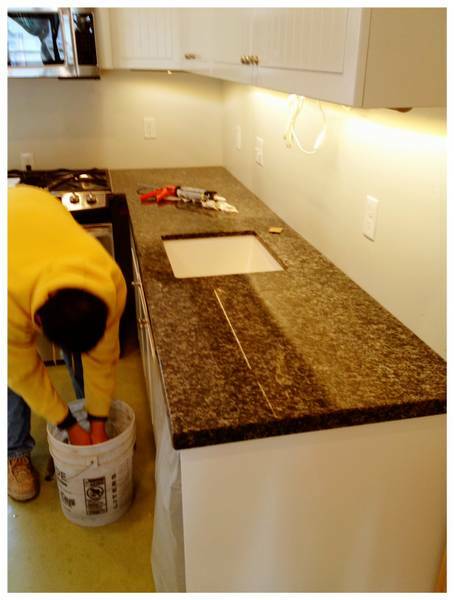 The installers arrived and in about an hour they had the new counters installed. The cost was the cost of the prep and installation ($600) which seems pretty inexpensive for solid granite counters. 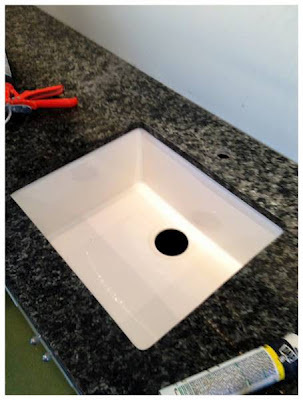 They mounted the sink under the counter, which I didn't even think of asking for but love. I can't stop staring at these new counters! It's the kind of finishing material that really makes a place. 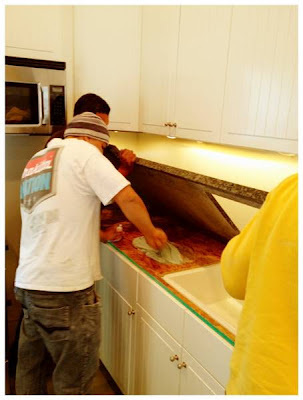 If you live near Salt Lake City and have a need for granite (they also do window sills, table tops, etc.) call Harry of Distinctive Marble and Granite at 801.750.5720. These guys are great. Thanks for sharing your post. The granite countertops really made the kitchen come to life. Great work and great counters! I agree. It is very affordable especially when you look at the kitchen after countertops are installed, it is elegant. 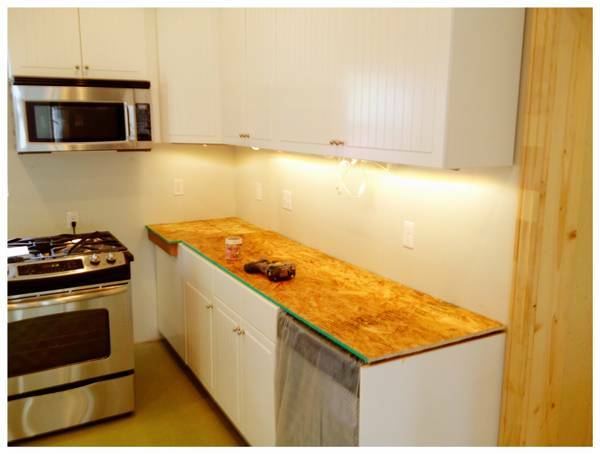 You can rely on countertops in salt lake city every time you need cost effective countertops.